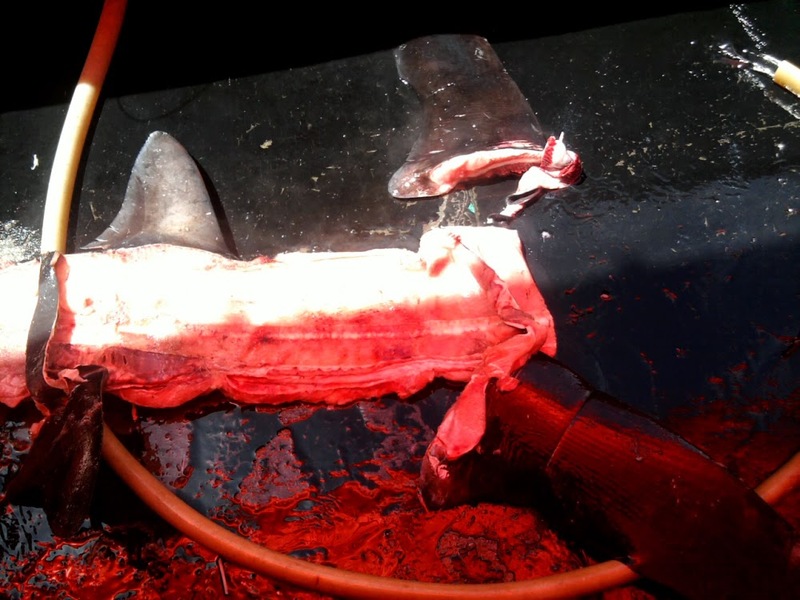 Has Shark Finning Been Legalized in Costa Rica? A recently ruled court verdict may have opened a loophole that legalizes Shark Finning in Costa Rican waters. After Kathy Tseng, a Taiwanese-Costa Rican woman, was caught with 652 shark fins at port and arrested, animal rights advocates thought maybe justice would finally be served to offenders only to find that she was released based on a technicality. Kathy Tseng arrived at a Costa Rican port with over 652 shark fins in 2011, well after the country had outlawed shark finning and the sale of shark fins. So how was she acquitted of the charges? To be convicted of Shark Finning, the fins of the shark need to be removed from the body while at sea. Kathy Tseng technically did not remove the fins at sea; however, she did take part in an equally horrific practice known as “shark spining” or “back boning”. 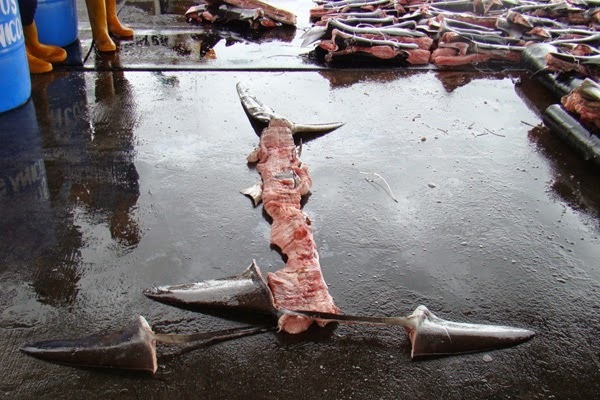 Instead of removing the fins, the fisherman hack away the flesh of the shark until only the spine remains, with fins “naturally attached”, which meets the law’s requirement of bringing all sharks to port with the fins still intact. By not bringing the entire shark aboard, fisherman can save room in the hull for additional sharks, thus the appeal of finning or spining. In 2011, Tseng attempted to dock her boat with over 330 shark skeletons aboard, but only after submitting a query as to if what she had done was kosher. After docking, officials were ordered to destroy all fins that were only attached the spine, costing Tseng’s company thousands of dollars. After being arrested and charged with finning, conservationists warned Costa Rican officials that a not-guilty verdict would create loopholes that would allow the shark fin trade to begin flourishing in Costa Rica and under legal grounds. On Monday, Tseng was acquitted of charges due to the fact that she did not technically unload and sell the shark fins. Since the fins were seized at port, the judge deemed Tseng of not having committed a crime. Key eyewitnesses also backed out of testifying last minute for reasons not entirely clear. Prosecutors can still appeal the acquittal of Tseng’s charges within 15 days of the verdict and have already stated that they intend to do so. Tseng is also facing charges of Human Trafficking after over 30 Asian slaves were found working within her fishing company.